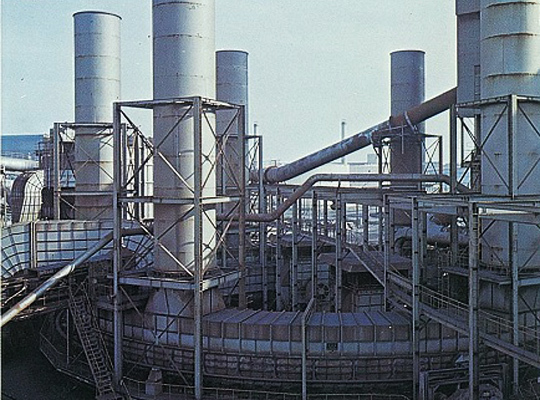 This is a system for recovering the sinter cooler’s high-temperature exhaust gas as steam, which can be used for power generation. Furthermore, reuse of the exhaust heat as the thermal source of sintered ore production will improve the productivity of sinter machines. Introduction of this system will allow up to about 60 % of the exhaust heat from the sinter cooler to be reused as steam or electricity. 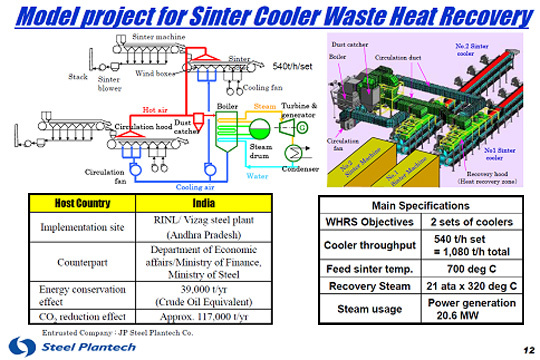 Furthermore, in this system, the exhaust from the waste heat boiler, which is at a temperature of about 180℃, is reused in the cooler rather than released into the atmosphere. This increases the amount of heat recovered in the boiler as well as decreases CO2 and dust emissions. 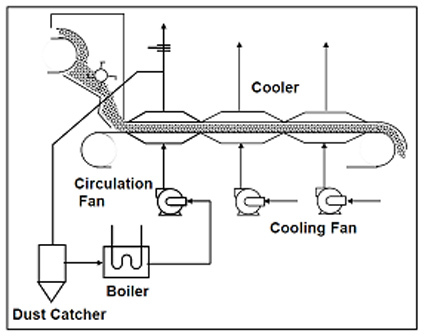 During recovery of exhaust heat from cooler exhaust gas, a recirculating system returns exhaust gas that has decreased in temperature in heat exchange to the cooler, then uses it again as coolant gas for the sinter. This makes a recirculating-type system more efficient than a non-recirculating-type system.